Self Storage in Wildwood, FL 34785 | Self Storage Services Inc. If you live in Wildwood, The Villages, Leesburg, Coleman, and any other nearby community, you’ve just found the perfect place to store your belongings. Centrally located in Wildwood, Florida, our storage facility offers easy access to major highways and the chance to leave your stuff in a secure place, even if you’re going to the east or the west coast. Our storage units allow our tenants to store just about anything they want, including furniture, children’s toys, business records, and other commercial storage inventory and household appliances. With temperature control, drive-up access, and 24-hour access, you have plenty to choose from. Our storage facility is conveniently located a mile and a half south of Chef's of Napoli III, just off US Route 301, allowing us to serve the communities of Wildwood, The Villages, Leesburg, Coleman, Sumterville, and Adamsville, Florida. 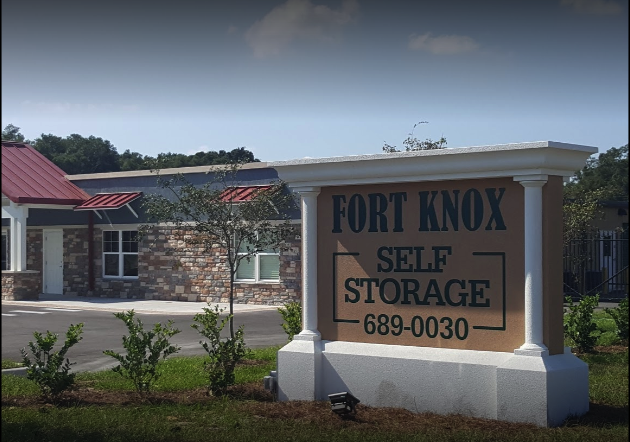 Welcome to Fort Knox Self Storage – Wildwood!